It is a process done using the patient own hair. Hair is taken from the side or back of the patient’s head and transplanted to the area with bald where it is programmed to grow genetically for the rest of the patient life. The hair that has been transplanted will continue to grow just like your natural hair. The science behind hair loss is quite complicated. For those who want a short answer, hereditary plays a significant role in men resulting in balding scalp and receding hairlines. There is a hormone known as dihydrotestosterone which influences hereditary factors in male pattern baldness. For women, it is majorly caused by their health that includes hormonal changes that occur during menopause. 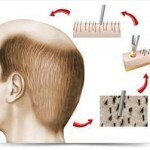 Diseases, accidents, and burns can also trigger to hair loss. 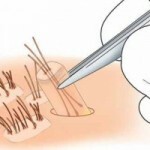 How do I know if I Qualify for Hair Transplantation? An examination is carried out on the patients’ health history and a physical exam of the area where the hair is to be restored. This process is always essential so as to determine if the procedure that will be right for the patient. Are the Results from a Hair Transplant Permanent? Hair from the back area of your head is genetically resistant to the hormone that causes baldness in male. Even after relocation, these traits will still be dominant, so it will it will continue to grow for the rest of your life. What Special Care Will i Have to Cosider Before Surgery? You should as much as possible avoid aspirin and alcohol two weeks before the surgery. This is because aspirin favors bleeding. Don’t go to the specialist having eaten nothing; make sure that you have eaten something some hours before the process. Will the Hair Transplant Look Natural? A big percentage of those patients who already have undergone the surgery look natural. However, this will entirely depend on how qualified the specialist you have chosen is. So it is important to get the procedure done by a highly qualified professional. What Does the Donor Area Look Like After Transplant? Most patients say that this place heals so well even the hairdresser gets surprised to hear that they have ever had a hair restoration process before. This will depend on the number of implants per hair transplant surgery and the extent of your hair loss. The number of sessions that will be needed to feel a particular area will depend on the density desired. The quality and quantity of the donor’s hair, the degree of original hair loss and some of other factors can also affect a patient’s satisfaction with only one session. Some patients have said to have experienced a little discomfort associated with the surgery. However, a local anesthetic is used on both the donor area and the recipient. Most patients have reported not to have felt pain whatsoever. Why is it hard to Graft Someone's Hair Scalp? Hair from someone else would be taken as a foreign body by your organism. This would lead to synthetic rejection. Is There an Ideal time to do the Hair Restoration Surgery? No, you can have a hair restoration anytime you feel like. But if you are planning to have your holiday by the seaside; it is recommended to have the process two weeks before you can go for swimming. Sun is not a contradiction, but it is also wise to protect your head for at least 15 days. Are Grafted Hair More Fragile? No, these hair is strong and will grow the whole of your life. They will have no difference with the hair from the crown. You can treat it normally such as brushing, dying and cutting. A person’s hair transplant will be noticeable during the first few weeks if there is no previous hair to hide the temporal scab. Once the transplanted hair grows, the result should look natural in that no one can notice even under close examination. You can start 1 weeks after the surgery but with moderation. However, you should avoid some vigorous sports as well as swimming for at least 2 weeks. 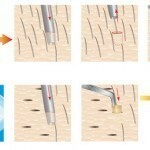 This kind of procedure is rarely performed these days due to significant advancement in hair restoration art. As much as the process can still be done by a qualified specialist, a thorough discussion with the specialist is encouraged before the patient can undertake the procedure. Any time human skin is subjected to a cut, normally it heals through a process known as “fibrosis.” This is the skin way of healing. After a hair transplant, the scar left is very small that is virtually undetectable. The scar from the donor area is covered by your existing area so it will be barely noticeable. Can I Safely go Home Afterward? Yes, you can safely go home. However, if you will be driving for a long distance home, it is advisable that you have someone else along with you. Is Hair Transplant Surgery Safe? This is one of the most frequent questions asked by a majority of people. The risks that have been reported from a hair transplant process are quite uncommon. Do not hesitate to discuss the issue with your specialist before you can have the procedure done on you. When Will I See The New Hair Grow From The Grafts? After you’ve got the procedure done, it will take you from four to six months to see your new hair growth.Full result will take 1 year to appear. How Many Grafts Can Be Transplanted in a Single Session ? The amount to be grafted depends on the area to be covered. It can even go up to 4500 grafts in a single session. No, you can be able to benefit from the hair restoration process from the age of 20 all the way to 85 years old. The most important thing is that you remain in good health. Can Anyone Undertake a Hair Transplant? No, there are some people who have a bad quality of hair and a very large bald with a narrow crown. Unfortunately such people cannot be able to benefit from the process. The patient can gently wash the hair by day four and vigorously by day seven. He should avoid hair dyes and curling irons for one week following the hair transplant surgery. He may also resume gels, hairspray, and mousse after a week. Is it Allowed to have Air Travel after Surgery? Yes, you can, traveling by plane can’t change anything. You can sleep or rest by leaning backwards on your seat. When Can I resume to My Professional Activities? You can go back to your regular work a day after the surgery and resume normal activities after a few days. However, for like a week after the procedure, you will have some tinny red spots where the grafts were planted. If your profession is strenuous physically, you should plan to take one week off. Many patients wear a cape after the procedure for some few days to cover the new transplants. A patient may enjoy a movie, listening to music or watch a favorite sporting game during the procedure. Some even chose to take a nap or just relax. How Am I Able to Know the Amount of Grafts Done in the Course of a Surgery? Each assistant counts after every ten minutes the grafts he/she has dissected one by one. The number is recorded on a count sheet. Once the process is over, the total amount is calculated. In most cases, this number is usually higher than the anticipated with no extra charges. Do I have to Be Hospitalized after Surgery? No, hair restoration process is a process that is done under anesthesia. It do not require a patient to stay overnight at the clinic. Are There Any Dietary Restrictions After Surgery? Following a hair restoration surgery, you should avoid alcohol for at least one week. Otherwise, patients are at liberty to eat whatever it is they want. You should avoid aerobic activities like running and swimming for two week after surgery. It is also important to avoid prolonged lifting, straining and bending within the first two weeks as such activities can lead to swelling and even delay the healing process. It is essential that you protect the scalp from tanning beds and sunburns. After How Long Can I have My Hair Colored? You may have your hair permed or colored on postoperative week 4.